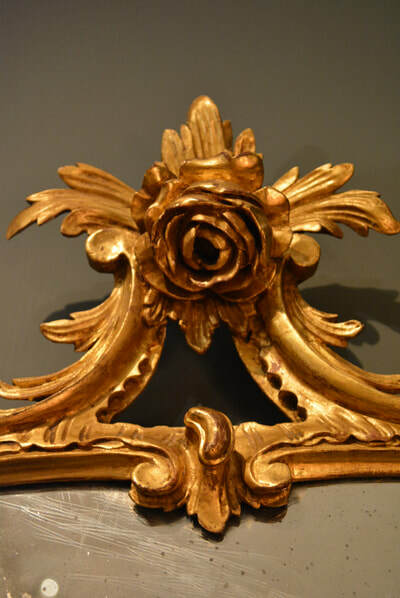 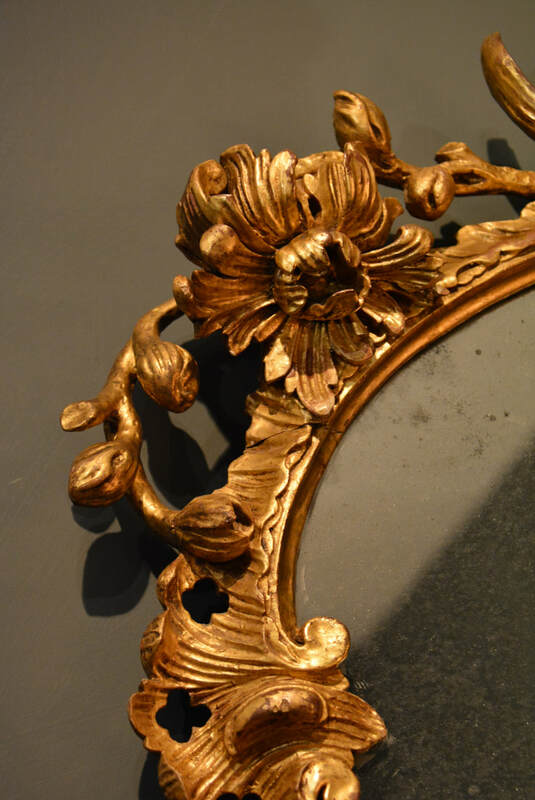 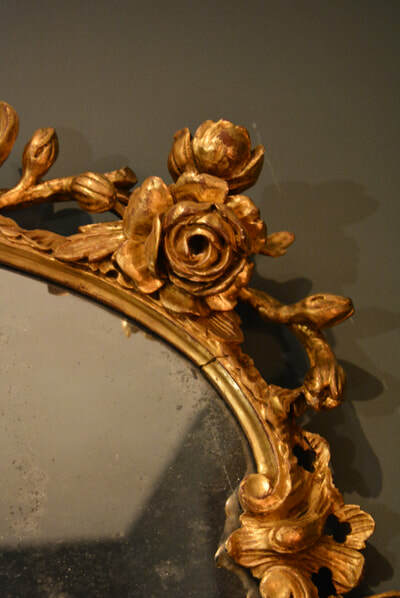 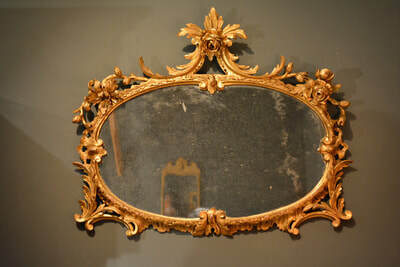 A George III Carved gilt wood oval mirror. 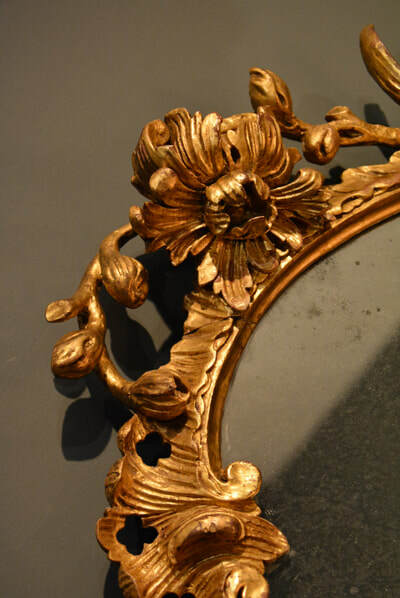 The rococo frame incorporating sea scrolls and enlivened with large flower heads. 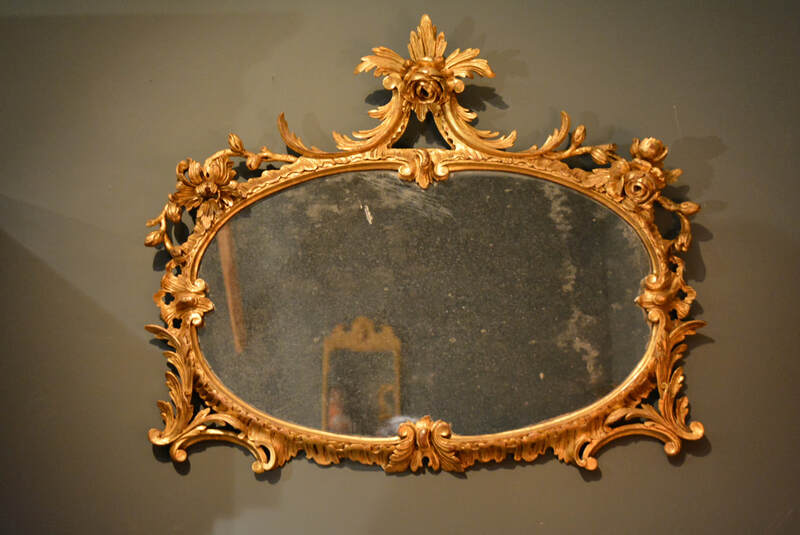 Height 24" Width 30" Depth 3"